The Mercedes-Benz S-Class sedan comes with an ever-growing variety of options – think cooled and heated cup holders, carbon-fiber trim, and an array of caps for the tire valves. It’s no wonder the carmaker’s assembly robots can’t keep up. Mercedes is aware that there’s no better way to wooing modern consumers than customization, so the company’s assembly lines are in dire need of the dexterity and flexibility of human workers. According to Markus Schaefer, the German automaker’s director of production, robots are outpaced by the high degree of individualization and the many options that the company is offering its clients today. 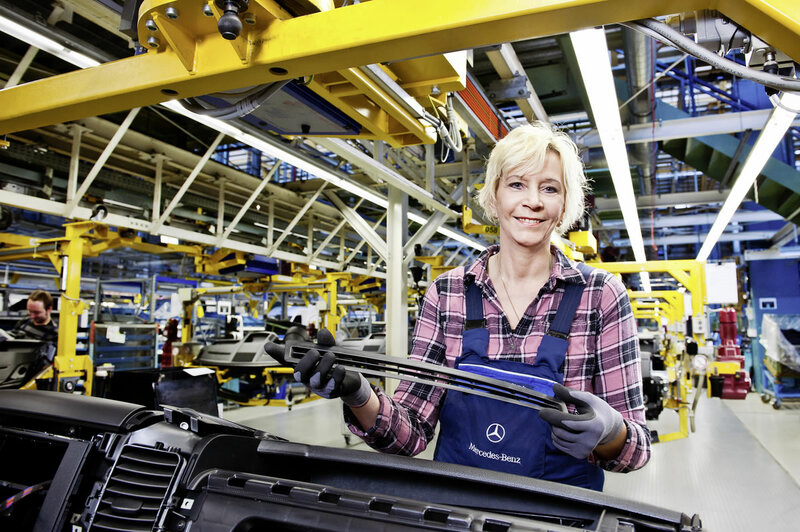 “We’re saving money and safeguarding our future by employing more people,” Schaefer said at the company’s factory in Sindelfingen, the center of the Daimler unit’s global manufacturing franchise. You wouldn’t think that automation would be defeated at Mercedes’s biggest plant at Sindelfingen. Even though the factory has been making elite and ultra-luxury models for 101 years now, the site is far from a boutique assembly shop. More than 400,000 vehicles get out the factory’s door each year as over 1,500 tons of steel a day are processed in its belly. If this doesn’t make Sindelfingen an efficient, streamlined production, we don’t know what does. However, some changes were forced upon the manufacturing methods in this age of individualization, with versatility placed as the highest impetus for the shift. Robots are the way to go when you need something reliable and good at repeating defined tasks – however, they’re less useful when it comes to adaptation. And the demand is increasingly higher for a broader offering of models, each equipped with more complicated features. The machines can’t keep up with the variety and the changes, so Schaefer sad that it was easier to shift the manufacturing focus to a skilled crew of workers. Instead of spending weeks on reprograming the robots and assembly patterns, Mercedes found that it only took a weekend to teach the crew what they have to do. A weekend-worth of downtime when production is at a standstill is preferred in this case. In the next two years, the carmaker plans to bring about 1.3 million industrial robots into operation, according to a study published Thursday.